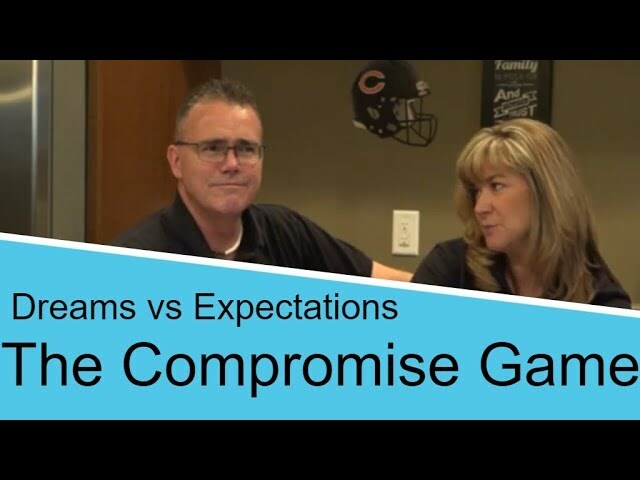 Marriage Tips Dreams vs Expectations – The Compromise Game. All marriages compromise, but it’s not to be a 50/50 thing. It’s 100/100 thing. We all come with dreams, desires and wishes, but when those move to expectations, the relationship changes. Compromise game is not the answer. In this video, Barry & Tammy discuss the Compromise Game and that marriage is not a 50/50 thing. We have to go all in. And stop moving our dreams into expectations.